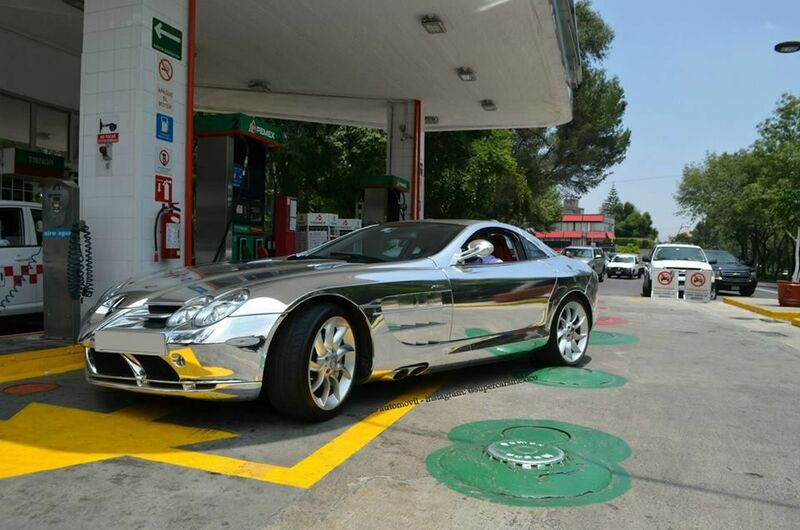 Chrome-wrapped vehicles may not attract much attention in a number of countries. 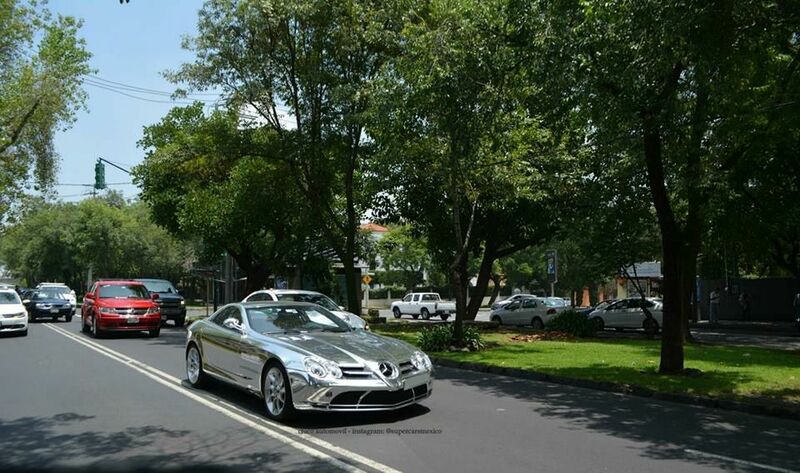 In fact, these vehicles may be a dime a dozen in Gulf Cooperation Council countries. 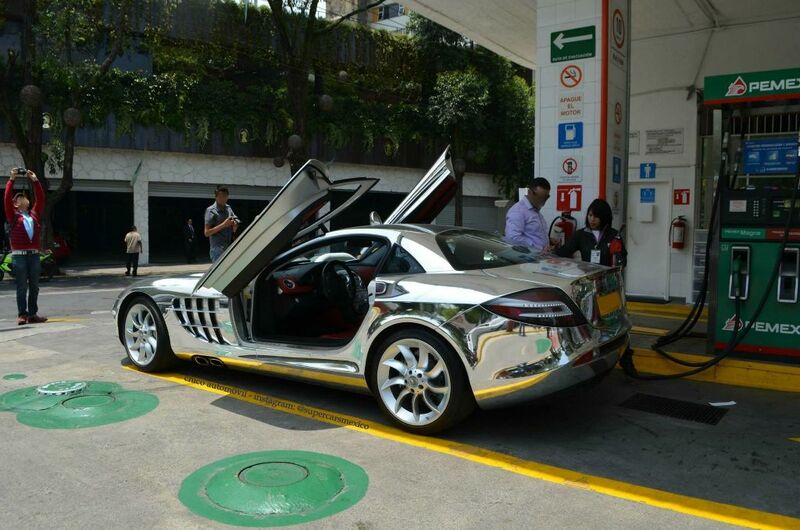 In contrast, Mexico may be one of the last places one can spot one of these vehicles, especially if the vehicle wrapped in chrome is a Mercedes-Benz SLR McLaren. 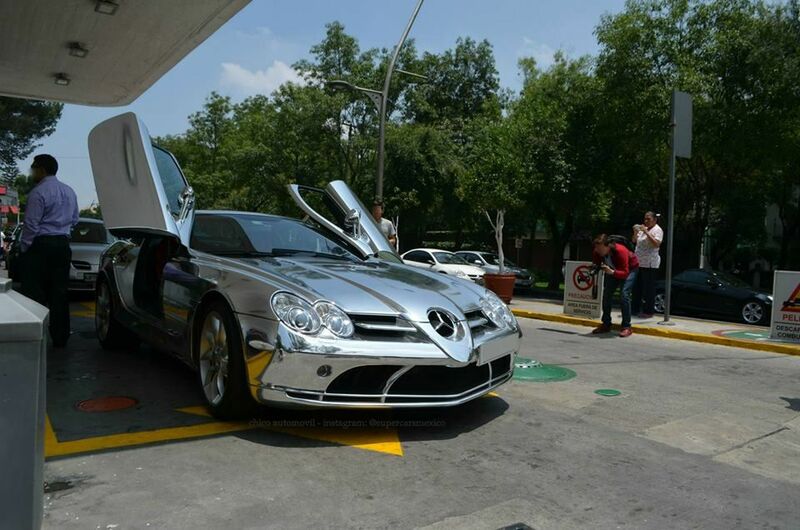 A gtspirit.com report showed that a chrome-wrapped SLR McLaren was spotted recently in Mexico. 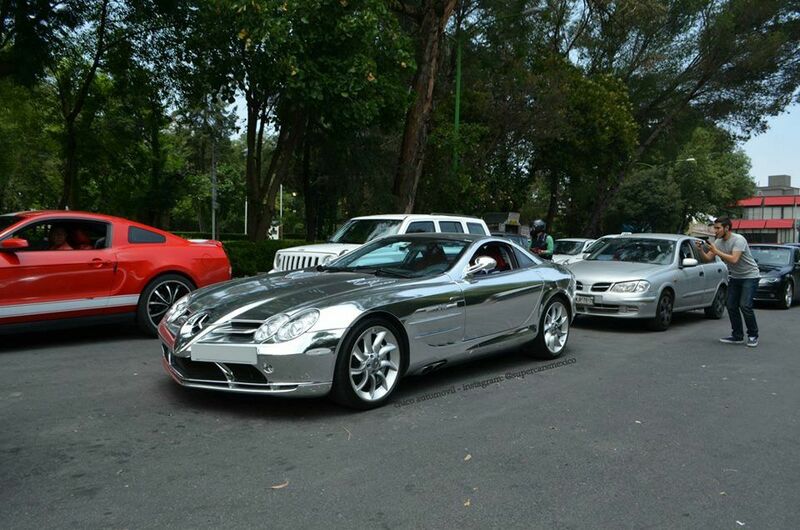 Without its mirror finish, it can already turn a good number of heads in the country connecting the United States with Central America. 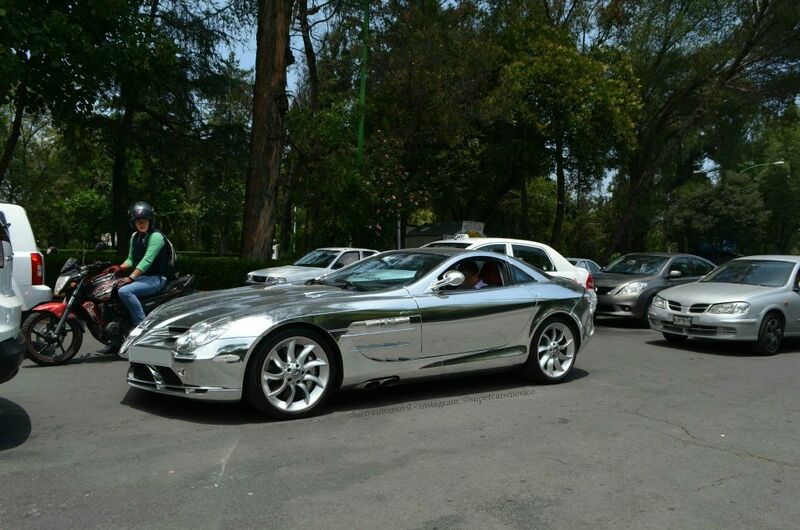 The chrome finish simply highlights the desire of the owner to really stand out in the crowd when it was spotted in Mexico City. 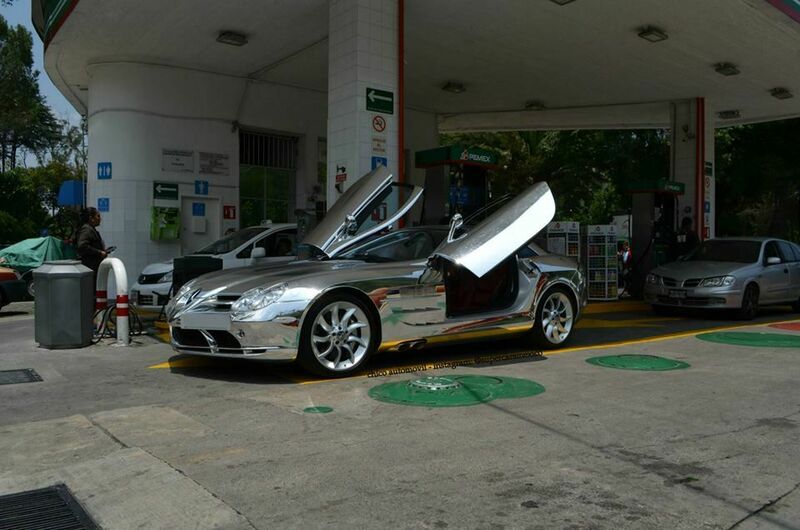 The chrome-wrapped SLR McLaren was spotted by supercarsmexico in the capital city of Mexico. 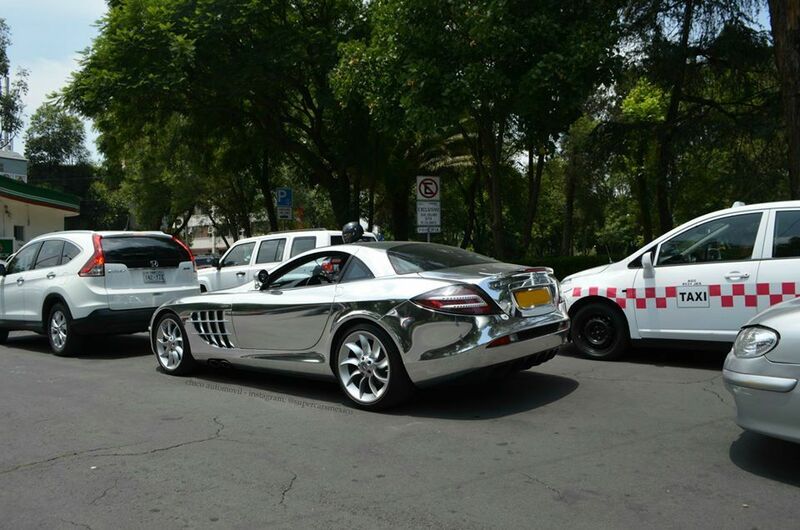 It is probably one of the rare instances when chrome-wrapped luxury vehicles are seen in the country. 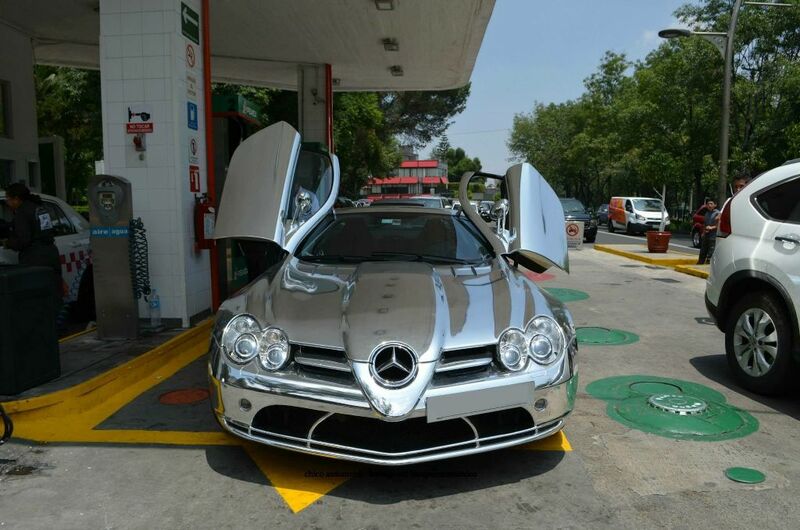 The SLR McLaren features a 5.4-liter supercharged V8 engine that is capable of producing 617HP of power and torque of 575 lb-ft. It is capable of sprinting from 0 to 62 mph within 3.8 seconds and has a top speed of 206 mph. 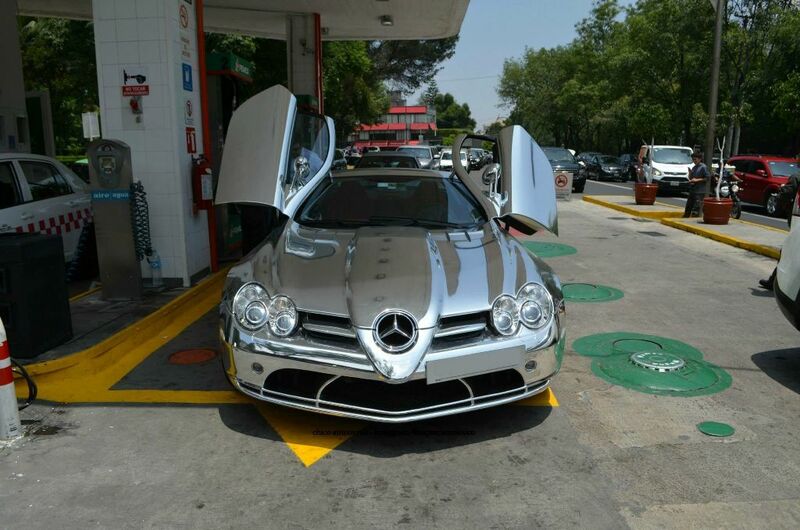 The chrome-wrapped Mercedes-Benz SLR McLaren was snapped while it was on its way for a fuel stop, and it did attract a good amount of attention from onlookers, who may not be used to seeing a supercar such as this.